ENSENADA, Baja California, Mexico—Earning the pre-race spotlight for this week’s internationally-televised 50th BFGoodrich Tires SCORE Baja 500 are former overall winners Larry Roeseler, Robby Gordon, Troy Herbst, Scott McMillin, Bryce Menzies, Andy McMillin, B.J. Baldwin, Carlos ‘Apdaly’ Lopez, Rob MacCachren, Harley Letner in 4-wheel and Roeseler, Nick Blais, Steve Hengeveld, Justin Morgan, Mike Childress, Shane Esposito and Mark Samuels in 2-wheel. That illustrious group is at the top of a field that includes 86 SCORE racers who have combined for 251 class wins in this legendary early summer desert race. The returning group of 16 returning former overall winners has combined to win 43 overall titles in the SCORE Baja 500. With Golden Anniversary festivities starting on Tuesday, Round 2 of the four-race 2018 SCORE World Desert Championship is being held this week in Mexico’s Baja California, starting and finishing in Ensenada, the seaside port on the Pacific Ocean, 80 miles south of San Diego. Pre-running on the rugged, race-record 542.12-mile course continues through Friday. In addition to 32 U.S. States, racers have come from 14 total countries so far. In addition to the USA, U.S. Territories Guam and Puerto Rico, racers from Host Mexico, Andorra, Argentina, Austria, Canada, Finland, Germany, Italy, Japan, New Zealand, Peru and Spain are part of the field that is expected to grow to nearly 350 vehicles at the start line. It is an elapsed-time race with staggered starts as the green flag will drop first on Saturday for the motorcycles and quads at 3:30 a.m. (PDT) and 8 a.m. (PDT) for the cars, trucks and UTVs. While the fastest vehicles are expected to finish in approximately 11 hours, the race has a 22-hour time limit from the time each vehicle starts to become an official finisher. Race title sponsor BFGoodrich Tires has posted a US$25,000 contingency bonus to help commemorate this year’s race. 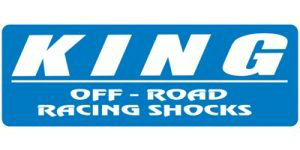 King Shocks has posted an US$5,000 contingency bonus, Rancho Drivetrain Engineering is offering a $20,000 transmission as a contingency bonus and Tri-Ace Tires is also offering $25,000 contingency bonus. Public festivities will begin on Thursday with two days of the all-day Manufacturer’s Midway, contingency and tech inspection of the participating vehicles in the start/finish line area on Boulevard Costero in Ensenada. 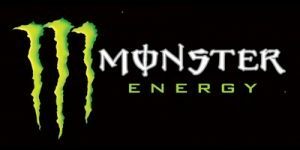 SCORE sponsor partner Monster Energy will present the Monster Energy SCORE Kick-off Party on Thursday from 7 p.m. to 11 p.m. in the VIP area at the start/finish line in front of the Riviera del Pacifico Cultural Center. On Friday from 6 p.m. to Midnight will be the annual Monster Energy Papas Y Beer SCORE Street Party on Avenida Ruiz. On Saturday morning at 6:45 a.m. after the start of the motorcycles and quads, a special public hoisting of the Monumental Mexican Flag will be held at the Ventana al Mar Plaza near the start/finish line. Following that will be the traditional opening ceremonies for the race at 7:15 a.m. featuring Mexican dignitaries, special entertainment, honor guard a salute to the flag ceremony and presentations of both the Mexican and the American National Anthems. During the race on Saturday to Sunday morning the start/finish line compound will include the massive double-sided SCOREvision LED screen broadcasting race festivities and start and finish line interviews. SCORE announcers for the live streaming will once again be Rat Sult and Donovan White. This year is the 45th time the race it will start and 41st time it will finish in Ensenada, the off-road capital of the world. The Riviera del Pacifico Cultural Center, in the heart of Ensenada, will again be the site of many of the activities surrounding the SCORE Baja 500. Racer registration and media registration will both be held in the Red Room on Wednesday, Thursday and Friday. 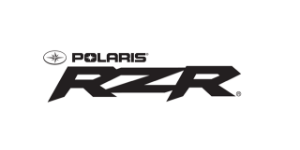 Racer registration will be held on Wednesday from Noon to 8 p.m. PDT along with 8 a.m. to 5 p.m. PDT on both Thursday and Friday. On Friday, no new entries will be accepted after 4 p.m.
Media registration in the Red Room will be held on Wednesday from 1 p.m. to 5 p.m. PDT and from 9 a.m. to 5 p.m. PDT on both Thursday and Friday. 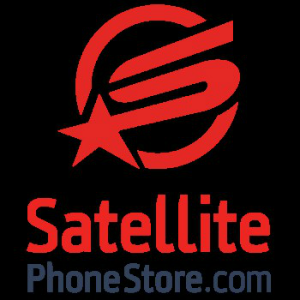 The SCORE Media Center will be in the Red Room during the race Saturday morning through Sunday morning with internet access and live race updates, vehicle tracking displays including unofficial elapsed times. In the Cathedral Room at the Riviera will be pre-race media conference at 11:30 a.m. PDT as well as the mandatory pre-race racer’s meeting at 7 p.m. PDT on Friday. The post-race awards celebration will held at noon PDT on Sunday and for the first time on the start/finish ramp in front of the Riviera on Blvd. Costero. Upwards of 50,000 spectators are expected to watch the race in that area alone. And local tourism officials expect upwards of 200,000 fans spread along the entire length of the grueling race course. This year’s Golden Anniversary course has four physical checkpoints—Checkpoint No. 1-El Chinero, (Race Mile 174.20), Checkpoint No. 2-San Matias (RM 260.72), Checkpoint No. 3-Vicente Guerrero (RM 368.15) and Checkpoint No. 4-Santo Tomas (RM 466.83). With 305 official entries entering race week, U.S. racers among the field range from Alaska, Hawaii, California, Washington and Oregon in the Pacific West, Nevada, Idaho, Arizona, Utah, Montana, Wyoming, Colorado and New Mexico in the Mountain West, New York, New Jersey, Rhode Island and Connecticut in the Northeast, Illinois, Ohio, South Dakota, Kansas and Texas in the Midwest and Florida, Louisiana, North Carolina, Tennessee and Virginia in the South. Other classes with double-figure entries besides SCORE Trophy Truck entering late registration this week are Pro UTV FI (Forced Induction) with 37 entries, Trophy Truck Spec with 25, Class 10 with 22, SCORE Lites with 20, Sportsman Moto with 19, the unlimited Class 1 with 13, Class 5-1600 with 11, Class 11 with 11 also and with 10 each are Class 1/2-1600 and Pro Moto 30. Among the overall race winners returning are 16 racers who have combined to win 43 overall 4-wheel and 2-wheel titles including drivers from eight of the last 10 years of 4-wheel overalls. Leading the way with multiple overall wins in this race are Larry Roeseler with 11 overall victories (including nine on a motorcycle), Robby Gordon with four, Troy Herbst, Scott McMillin and Bryce Menzies with three, Andy McMillin with two, B.J. Baldwin, Carlos ‘Apdaly’ Lopez, Rob MacCachren and Harley Letner, with one each in 4-Wheel and in 2-wheel, Roeseler’s nine, Steve Hengeveld with seven, Justin Morgan with two and Nick Blais, Mike Childress, Shane Esposito and Mark Samuels with one each. In the field are 86 racers who have 251 combined class wins in the SCORE Baja 500. Leading this prestigious group of returning multiple class winners are Jim O’Neal with 20 class wins and Larry Roeseler with 17. The other racers with the most multiple class wins in this race who are back to attempt to add to their winning totals are: Lou Franco and Steve Hengeveld (8 each), Troy Herbst, Jeff Kaplan, Arnoldo Ramirez and Eric Solorzano (7 each), Mike Cafro, Scott McMillin and Scott Myers (6 each), Pancho Bio, Dan Chamlee, Shane Esposito, Robby Gordon, Eiazuburo Karasawa, Rob MacCachren, Wayne Matlock, J. David Ruvalcaba and Clyde Stacy (5 each), Cisco Bio, Vic Bruckmann, Elias Hanna, Adam Pfankuch, Greg Row, Francisco Septien and Fred Willert (4 each) and Marc Burnett, Gerardo Iribe, Chelsea Magness, Mike Majesky, Bryce Menzies, Justin Matney, Andy McMillin, Wes Miller, Jano Montoya, Josh Row and Jason Trubey (3 each). With points allotted to the driver/rider of record who must start and/or finish the race, it’s not uncommon to see a racer on two entries, or occasionally on three entries, but Mexico’s Santiago Creel has taken it two an entirely new level. Creel, 31, an international motorcycle rally racer from Mexico City, is rider of record on four motorcycle entries in three classes and an additional driver for Mark Winkelman, 59, Cedar Hills, Texas, in a Trophy Truck Spec vehicle. Riding on various KTM motorcycles, Creel is rider of record on two vehicles in the Pro Moto Unlimited Class, one in the Pro Moto Limited and the fourth one in the Pro Moto 30 class for riders over 30 years old. At the season opener in San Felipe, his teams won both the Pro Moto Limited and Pro Moto 30 classes and finished second and third in Pro Moto Unlimited. Creel is expected to take a break from his four motorcycles to drive a section of the race for Winkelman in the No. 245 Chevy Silverado built by Jimco of Santee, Calif.
and Mary Scheible, No. BC2 Baja Challenge. Fish, the ‘godfather’ of desert racing who ran SCORE from its Baja start in 1974 for 39 years through the end of the 2012 season joins the iconic ‘Ironman’ Stewart, who has 17 class wins (including an incomparable 10 4-wheel vehicle overalls) in the SCORE Baja 500, to share duties for the special golden anniversary race that they both have been such a major part of over the years. 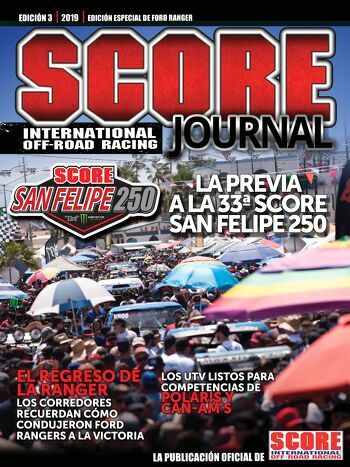 Next ArticleTrack the 50th SCORE International Baja 500!!! !